While Marilyn Monroe’s years of glory lasted for no more than 15 years, her fame has never declined, even half a century after her tragic death. There are countless photos available of her, but relatively few pictures of her hands. However an analysis of her hands paints a vivid portrait of this forever young movie star. 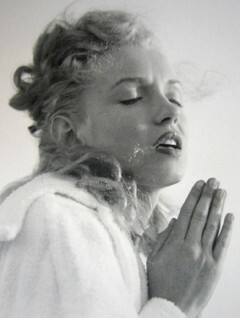 Marilyn Monroe’s has what palmists call conic hands or Water hands. They are graceful and delicate and denote that sensations and feelings are given considerable importance. Very impulsive, they are not always rational and are strongly affected by external influences. 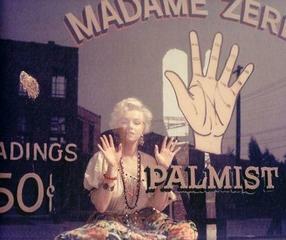 One striking feature of Marilyn Monroe’s hands is her tapered fingers. This type of fingers is often associated with Borderline Personality Disorder (BPD), a mental condition characterized by unstable relationships, seeing things all good or all bad, drastic switches between euphoria and desperation, fear of abandonment and possible usage of drugs or alcohol as a coping mechanism. Many biographers suspect that Marilyn Monroe was suffering from BPD. Abandoned by her father at birth and left with a mentally unstable mother, young Marilyn – Norma Jean at the time – spent her early years in many foster homes. This would probably account for most of her emotional troubles later on, including addictions to alcohol and therapeutic drugs, such as the barbiturates that reportedly caused her death. Despite such a disturbing childhood, Marilyn Monroe managed to have an amazingly successful career. I believe it was thanks to her long and strong thumb which almost reaches the top of the first phalange of her index finger. A strong thumb gives a person the ability to accomplish something extraordinary and puts her in charge of her own destiny, even though the pointy shape indicates that her emotions and impulses may occasionally sway her away from her objectives. Another very positive sign is the equal length of her index finger (self-image) and her ring finger (desire to shine and share). Those fingers are very rarely of the same length. In her case, despite her fragile appearance, she knew her own worth and how to make others aware of this worth. The bottom of her mount of Luna displays at least one horizontal line. This line implies an insatiable craving for excitement, which seemed to be present throughout her life. The quadrangle, i.e. the space formed by her head line (reason) and her heart line (feelings) gets narrower approximately between the ages of 30 to 40. When those two lines get too close, there is a tug of war between reason and feelings. Maybe, if Marilyn had lived past 40, her life would have become easier.